As Freddy De Pues of NAPS always says … we beautify reality. And, the scenery package comes with assets by Marc Leydecker aka Belga12345. 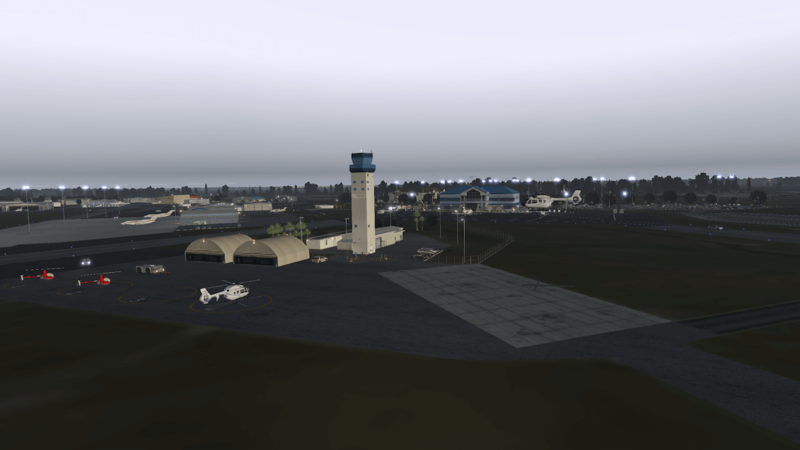 On behalf of Freddy De Pues and his NAPS team e’re pleased to inform you about the release of Lakeland Linder Regional Airport (KLAL) version 1.0. 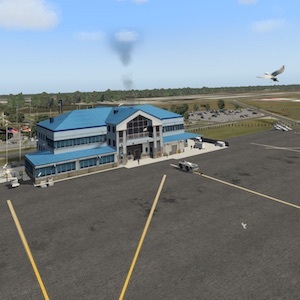 Lakeland Linder Regional Airport (IATA: LAL, ICAO: KLAL, FAA LID: LAL) is a public airport five miles southwest of Lakeland, in Polk County, Florida. 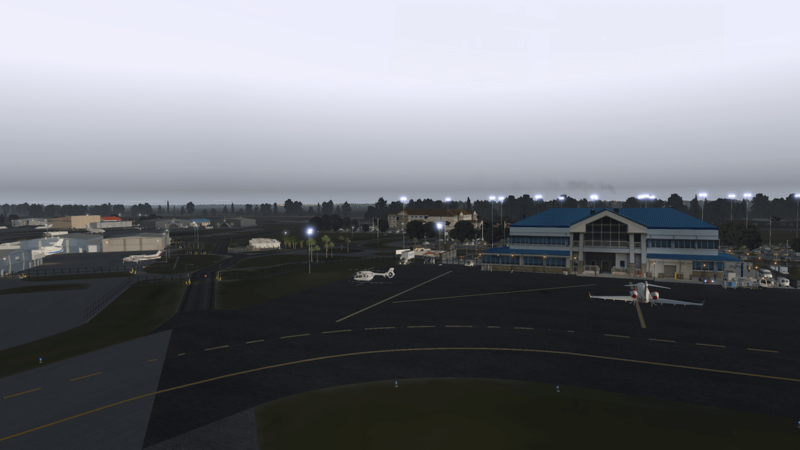 The National Plan of Integrated Airport Systems for 2011–2015 categorized it as a reliever airport. 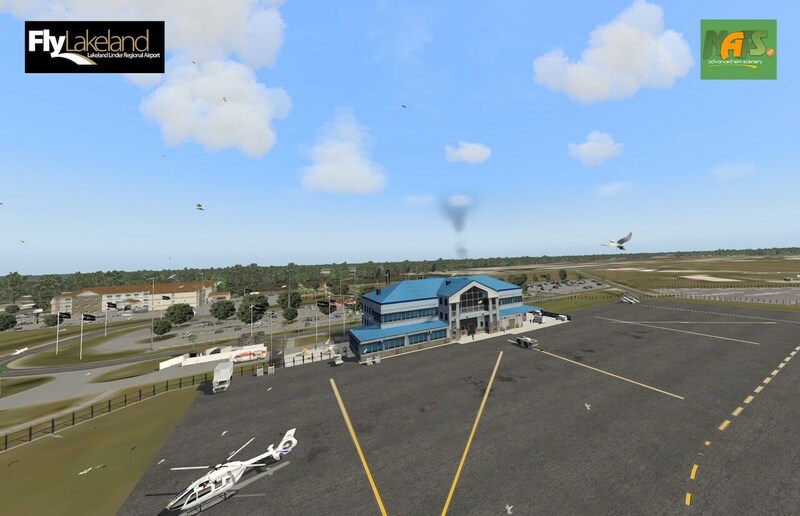 The airport has a Federal Aviation Regulations (FAR) Part 139 operating certificate allowing passenger airline flights; the current terminal facility, which opened in late 2001, was designed to host airlines with minimal modifications. Scheduled airline flights returned to the airport in June 2011, when Direct Air began service to Myrtle Beach, South Carolina, Niagara Falls, New York and Springfield, Illinois. Service ended on March 13, 2012 when Direct Air unexpectedly announced an end to operations. 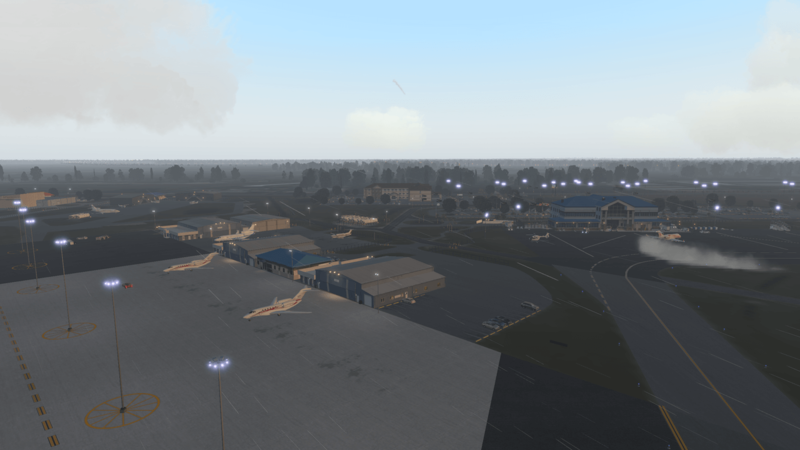 The charter carrier, who offered flights from Lakeland to Niagara Falls and Plattsburgh, New York; Springfield, Illinois and Myrtle Beach, South Carolina with Boeing 737 aircraft, was subject to Chapter 7 liquidation on April 12, 2012. Annually, around March–April, the airport hosts Sun ‘n Fun, a six-day Fly-in, airshow and aviation convention. It is the second largest such event in the United States after the Experimental Aircraft Association‘s (EAA) annual “AirVenture” event each summer at Wittman Regional Airport (OSH) in Oshkosh, Wisconsin. Although originally begun by a local EAA chapter, Sun `n Fun is now an independent nonprofit corporation and no longer affiliated with EAA. During the week of Sun ‘n Fun, Lakeland Linder Regional Airport becomes the world’s busiest airport with about 60,000+ aircraft movements. 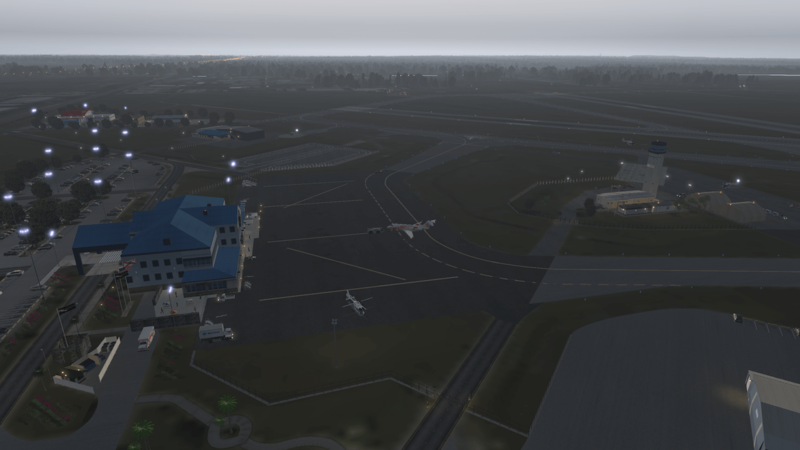 – ATC air, ATC ground. 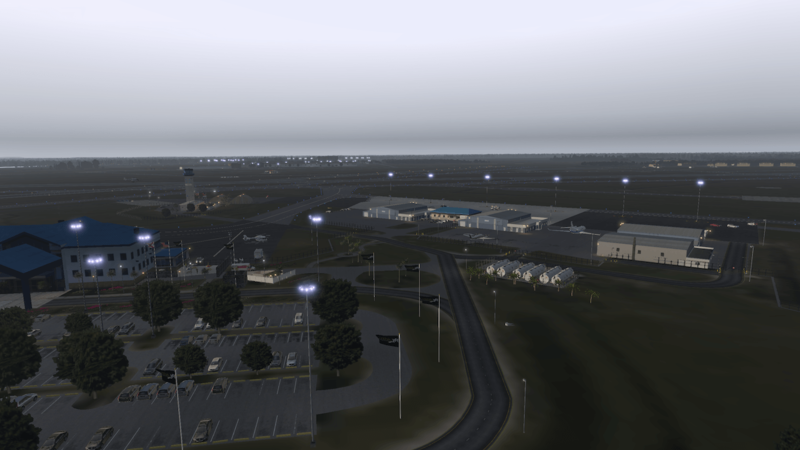 – 3rd generation HD hangars, buildings, etc. by Marc Leydecker or myself (NAPS). – HD tarmacs, HD roads, stains, … gazillions of objects. Some Library developers use Russian puppets, you get a folder called BS2000X, for instance, which contains BS2000X lib and library.txt. Some users will put BS2000X lib in Custom Scenery and as a result they will get a truncated lib since the library.txt is necessary. Always put in Custom Scenery the library folder resulting from a downloaded .zip expansion. Same for Flags of the World or Flags of the USA. That rule does not apply for all aircraft, hence some other Russian puppet lovers will create a Concorde1960 folder containing another Concorde1960 1.0, use the latter, aircrafts don’t use anything like aircraft.txt.